This is one of those recipes that doesn’t sound that appetising but you’ll probably have three helpings. 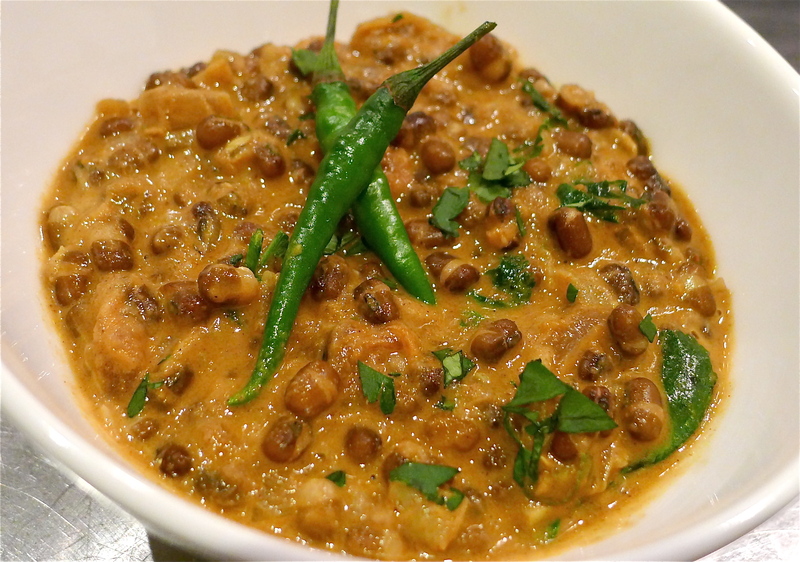 The black lentils (urid beans) might not look so yummy, but the particular combination of butter and cream and spices that you add to the lentils transforms them into a type of nectar. Creamy, dreamy, spicy. Do make it at least once the way it was intended – rich with butter and cream. Then, if you’re watching the calories, substitute sunflower oil for the butter and stir in yoghurt at the end instead of cream. Heat the butter, add the onion and cook for 10 minutes on a medium heat. Add the garlic, ginger and if using, green chillies. Mix for a few minutes. Add the spices, salt and tomato and cook through for another few minutes, until the tomatoes soften. Add the drained lentils. Add 300ml water. Bring to the boil and reduce the heat. Simmer for 45 minutes on a low heat until the lentils are soft. If you have to add a bit more water, go for it. When the lentils are ready, take them off the heat and stir through the cream. Add the coriander, stir through once and serve.